Add an Ole Smoky Moonshine Cherry to any one of these cocktails, and you can’t go wrong! 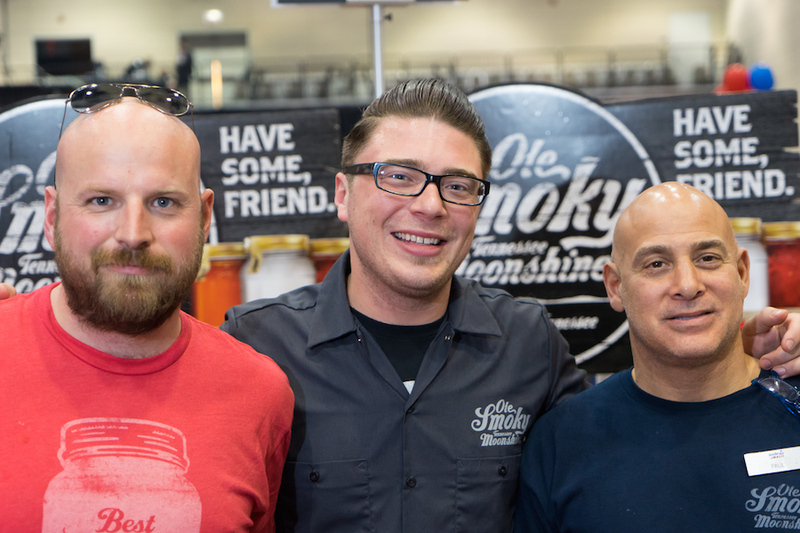 Thank you and welcome back to Baconfest, Ole Smoky! Tennessee’s first legal moonshine distillery is NOW open in Gatlinburg, offering free tours, complimentary tastings, and products for sale. “We have an incredibly rich history with making liquor. It’s an important part of who we are.” -Joe Baker, co-founder of Ole Smoky. We’re Appalachian born and bred. The Ole Smoky families are among the first to step foot in the Smoky Mountains. Like other families, we have honed the art of whiskey making in order to survive during tough economic times. We’re among friends here, neighbors with folks who have moonshine stories and traditions of their own. We are proud to share some of ours. When Tennessee state law changed to allow the distillation of spirits, we saw an opportunity to showcase the art of superior mountain-made moonshine. Ole Smoky is the first federally licensed distillery in the history of East Tennessee. Like other moonshiners and bootleggers, we know it’s considered risky to tell stories of moonshine glory. The consequences of talking back in the day made it something you just didn’t do. But those days are gone, and it’s hard not to brag when you’re makin’ & sellin’ Ole’ Smoky Tennessee Moonshine. 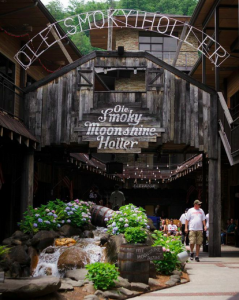 The Ole Smoky Moonshine Distillery, “The Holler”, is America’s most visited distillery and produces all of our signature flavors. 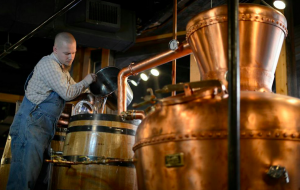 A visit to Ole Smoky Distillery is the true moonshine experience. As you approach the entrance, the distinct smell of cooking and fermenting grains takes over your senses. Here, you’ll see authentic-working moonshine stills and take in the entire process – from beginning to end. Our distillers like to visit with folks. They’ll be glad to answer your questions about the history and lore of moonshining in East Tennessee. After you see, smell and hear about the process, treat yourself to a free taste of our homegrown shine! 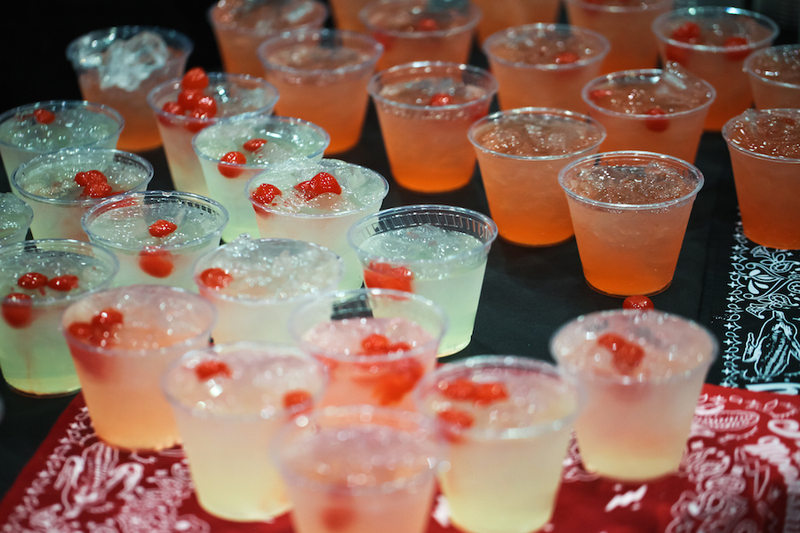 Choose from samples of our Original Unaged Corn Whiskey, White Lightnin’, Moonshine Cherries, Blackberry, Our World famous “Apple Pie”, Strawberry, Peach and Lemon drop. We also offer seasonal and special flavors that aren’t available in package stores. 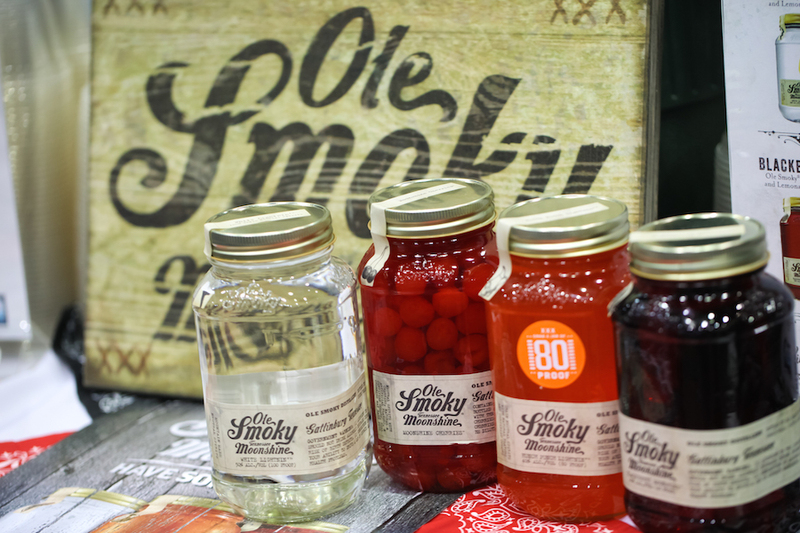 You’ll be able to buy plenty of moonshine and Ole Smoky merchandise to take home with you.